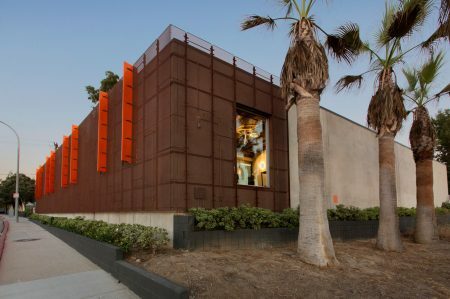 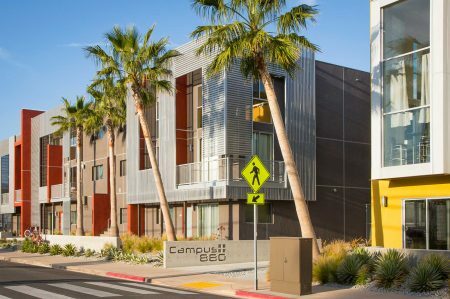 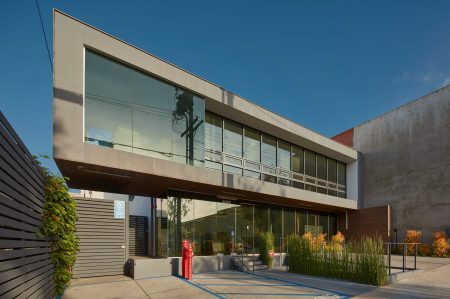 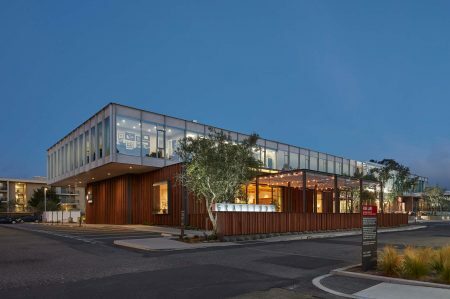 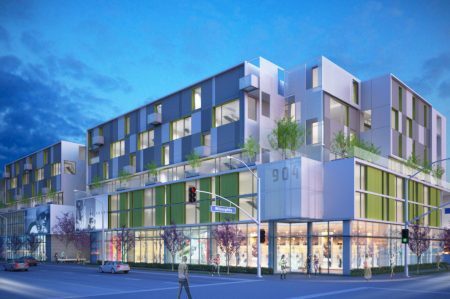 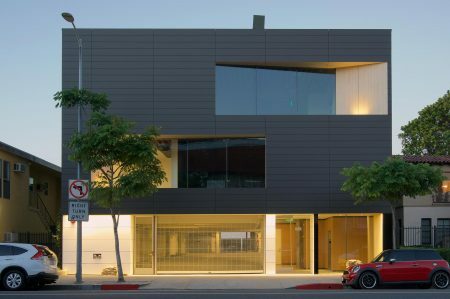 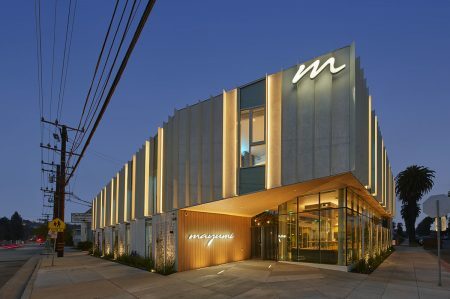 Three lots in West Hollywood were combined to create an intimately-scaled urban campus, creating and individual identity for each of the six 2-story buildings. 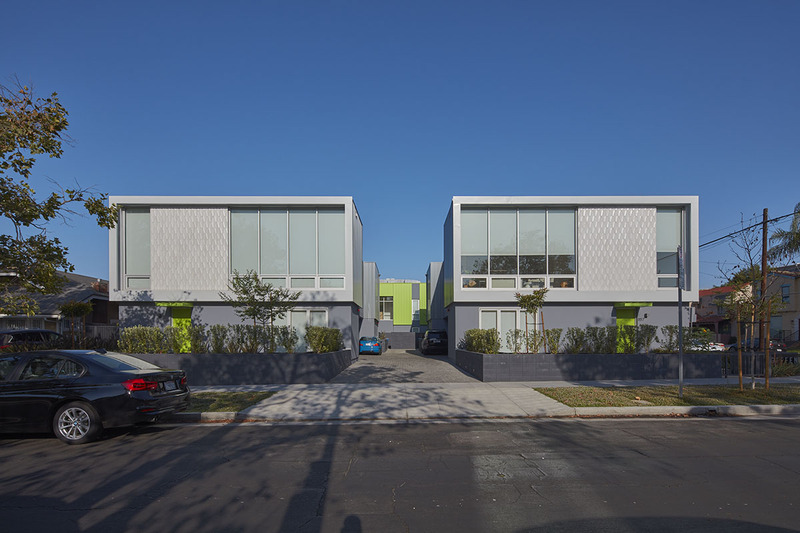 The Willoughby Duplexes encompass an entire block near the La Brea Corridor. 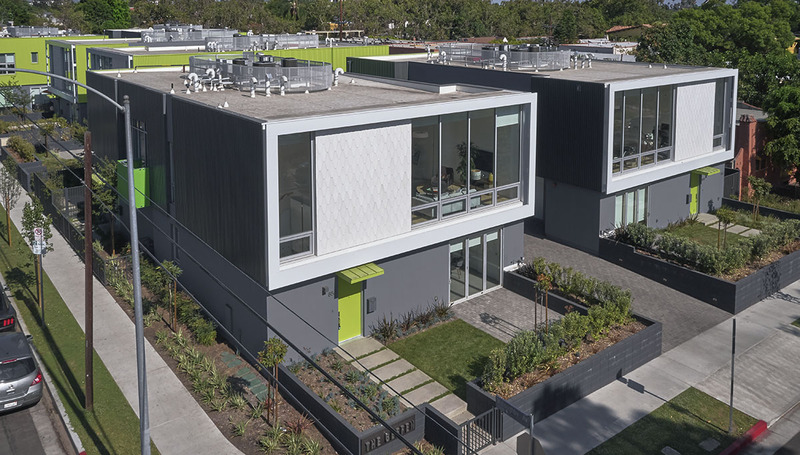 This complex is consciously designed to create a “village-like” feel, with six two-story residences oriented in pairs with intersecting circulation and landscaping to create flow and green-space. 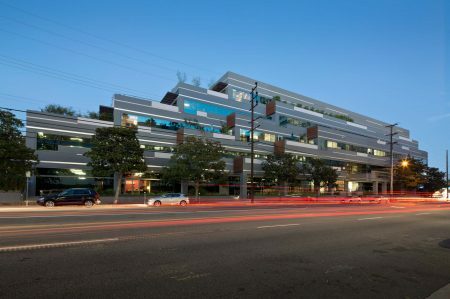 Each pair of buildings has individual entries and driveways creating a connective opening between the residences. 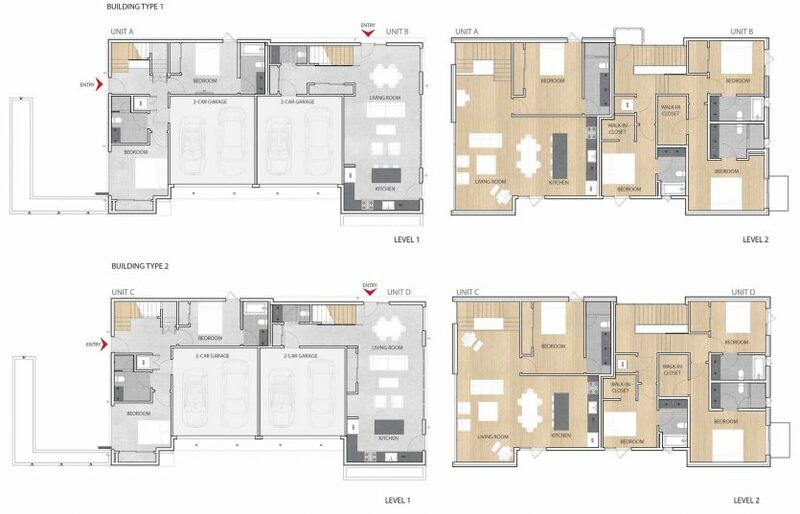 The duplexes are wood-framed and arranged in two alternating 3-bedroom layouts, with the living quarters on the second floor in one orientation, and on the first floor within the other. A 13-foot tall façade of glazing and condition-specific custom fabricated scalloped tiles celebrates the duplexes’ exterior. 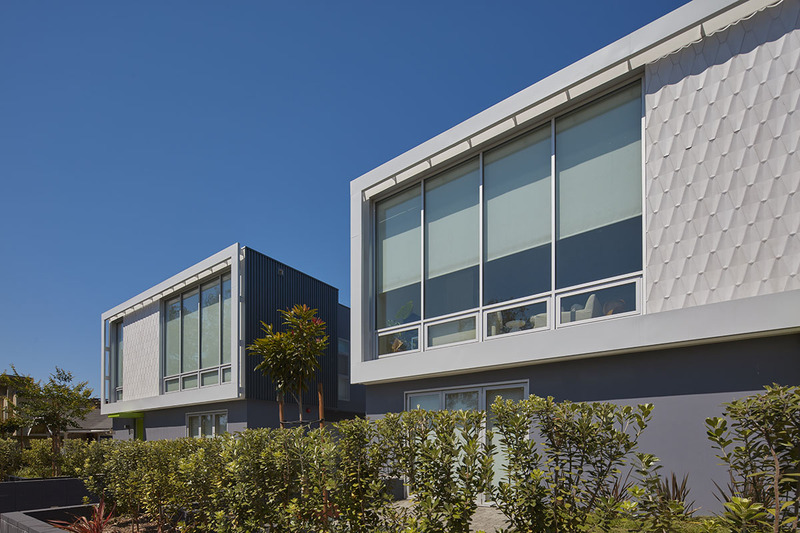 The scalloped tiles are oriented within a steel frame clearly defining the main living-quarters of each street-facing residence. 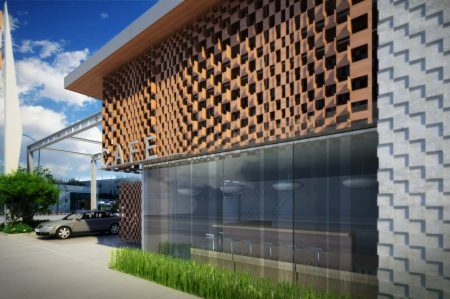 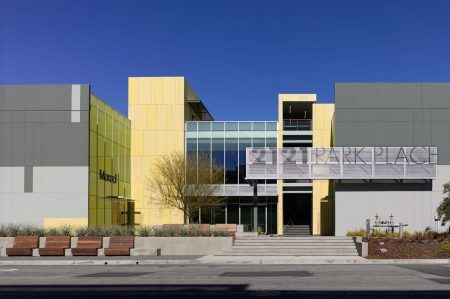 These frames are “floated” off the main volume through the use of standoffs, and the orientation allows for steady airflow across the façade and the projection of varying shadows throughout the day. 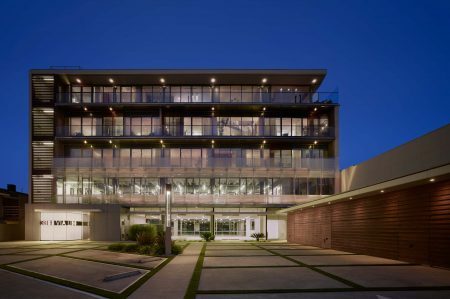 This design brings a clean industrial feel to the outside and breaks up the larger floor-to-ceiling windows that make up the living quarters. 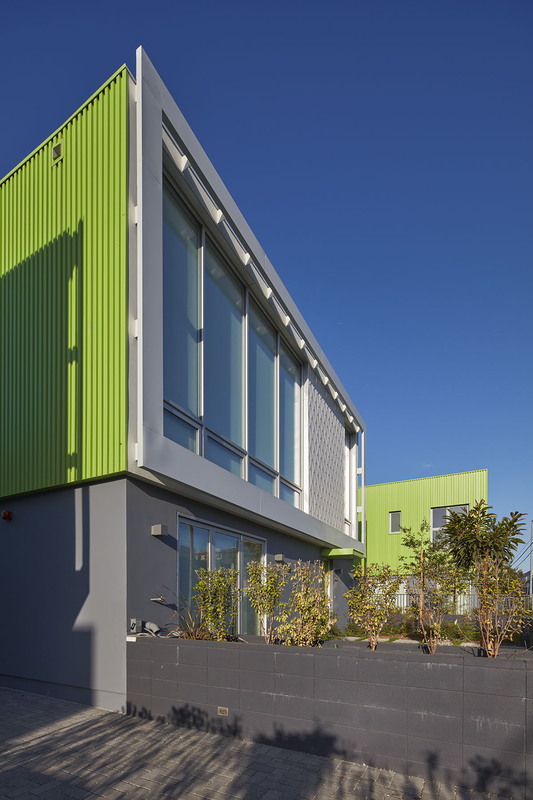 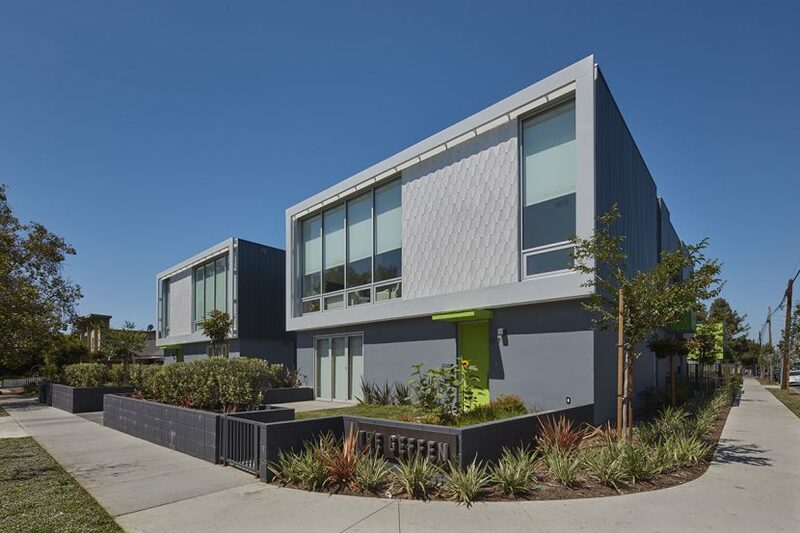 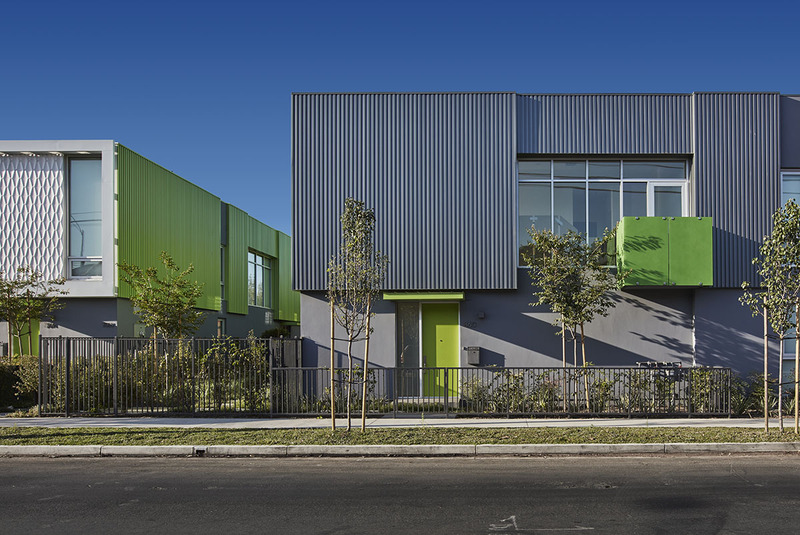 The corrugated metal panels painted a bold and fresh acid green complements the vitreous glass and tile texture, giving each residence a unique pallet within their respective orientations. 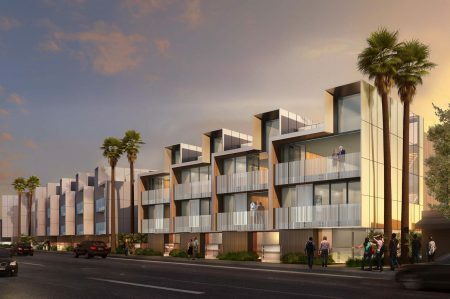 Each unit’s individuality is emphasized by its position on the site and layout within, thus creating privacy for each unit and fully utilizing the extents of the entire development. 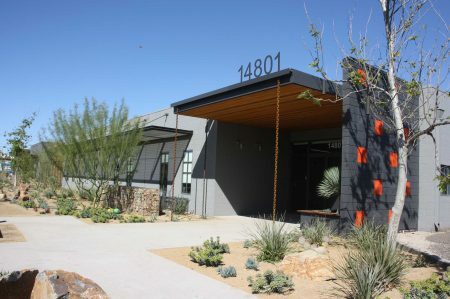 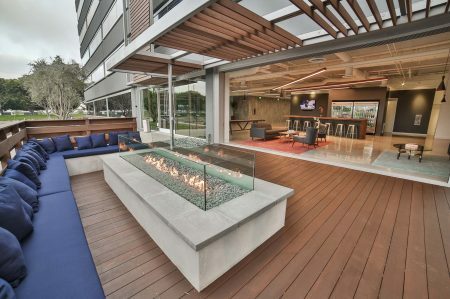 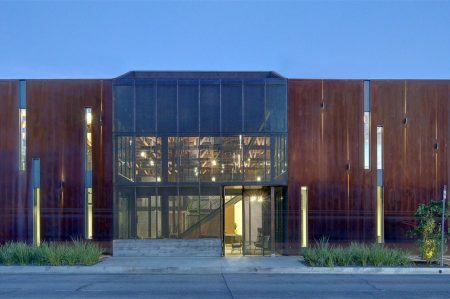 The Willoughby Duplexes offers a unique solution to composing and celebrating multiple duplex development in the urban environment.